Clay’s Hannah Oliver throws a pitch on Tuesday evening against Rio Grande. Clay’s Shaelyn Vassar sprints out of the batter’s box. RIO GRANDE — When a team not only has the amount of pitching and hitting depth to contend, but gets consistent production from every starting member across the board, the only sign that will be flashing for the opponent is the one that consists of trouble. On Tuesday evening, the Clay Panthers’ softball program did nothing but cause trouble for the Belpre Golden Eagles’ softball program from the start of a Division IV, Rio Grande I District Semifinal to the finish of it as Clay notched an 8-0 victory over Belpre to obtain its 11th Division IV District Final appearance over the last 13 seasons in a brilliant 18-hit performance from the Clay offense and 11 combined strikeouts from Julia Swain and Hannah Oliver in the circle. For Jason Gearheart, the contest was a symbol of where his unit is at as the year continues to progress. After obtaining back-to-back base hits and stolen bases from Shaelyn Vassar and Jensen Warnock in the opening inning of action and a two-out double from Oliver in the second frame but leaving all three runners stranded in scoring position, Clay, who accumulated at least one base hit in each of the six innings that it came to bat on Tuesday, took the lead for good in the third inning of action when a Ryanna Bobst single to left field, and an outfield error on the same sequence, allowed the junior to slide in safely at third base. Lila Brown then shot a base knock back up the middle to give the Lady Panthers the lead. Even though Brown was gunned down while trying to steal second base, Clay wasn’t finished scoring. With two gone in the same frame, Warnock shot a single to left field and Megan Bazler followed with her own base knock back up the middle of the diamond, which set up Swain’s RBI single to the outfield grass that scored Warnock and allowed the Lady Panthers to take a 2-0 advantage after three innings of play. As the Clay offense started to heat up, Oliver was already in top form in the circle. The junior standout ultimately struck out five batters and surrendered just one hit through her four innings of work before giving way to Swain, who proved that she, too, was in top form as the recent Shawnee State University signee struck out six and surrendered only two hits over the final three innings as the pair kept the Lady Eagles off balance all game long. The duo were aided by a Clay defense that didn’t commit a single error across the duration of the contest, and even aided their own cause from an offensive standpoint by going 5-for-8 with two doubles and two RBI. 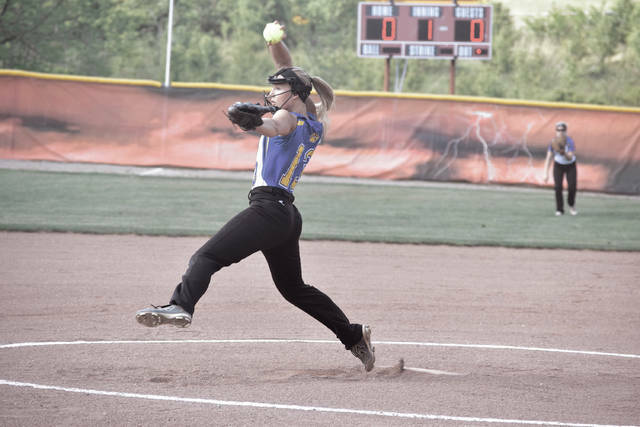 With Clay’s pitching as solid as a rock, the Lady Panthers wasted no time gapping Belpre as the game wound down. 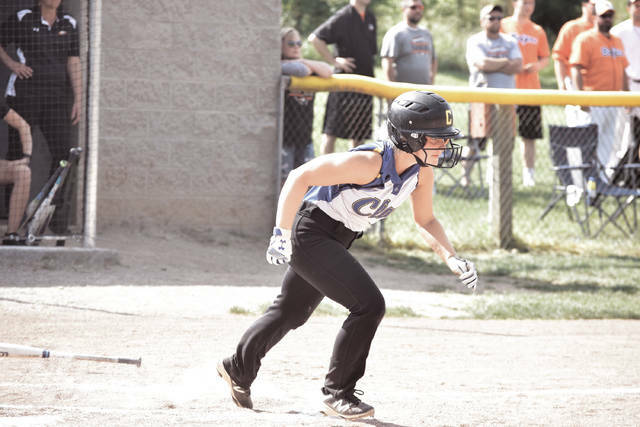 In the fifth frame, a leadoff single by Warnock — who went a team best 4-for-4 with a stolen base, an RBI, and three runs scored — along with an error opened the door for Cassidy Wells to come up large. Her two-out base knock back up the center of the diamond increased the Clay advantage to a 4-0 count after five innings of play as Warnock and Bazler came around to score on the hit. The fifth inning, however, was just a precursor of what was to come. In the sixth frame, Bobst’s single back up the middle and a stolen base, along with a second single by Brown to shallow right field, allowed Vassar to recycle Bobst with a perfectly-placed bunt. A second bunt RBI single by Warnock allowed Brown to score, and with two gone in the frame, a single by Bazler and an outfield error allowed Warnock to sprint across the plate. Swain’s double to straightaway center field drove in Bazler for the final run of the contest. With the victory, Clay (23-5) will play the winner of either Symmes Valley or Peebles in the Division IV, Rio Grande I District Finals. The Lady Vikings and the Lady Indians were tied at four apiece in the fourth inning before inclement weather struck, which postponed the finish of the game to Wednesday evening.